Hey guys! This is Daniel again. Some of you might remember me from the time when I reviewed Hemp bombs; others, well…you know I am a friend of Aaron’s. I am back cause Aaron reminded me that I never told you guys about Lazarus Naturals, a brand that I spoke to him about a few months ago. So, here I am, writing another review for Aaron’s blog. Lazarus Naturals has been on my mind quite a lot lately because I stumbled upon a blog. Although it’s been quite a while since I tried any of their products, I’m still certain that I’d be as much impressed today as I was the last time. 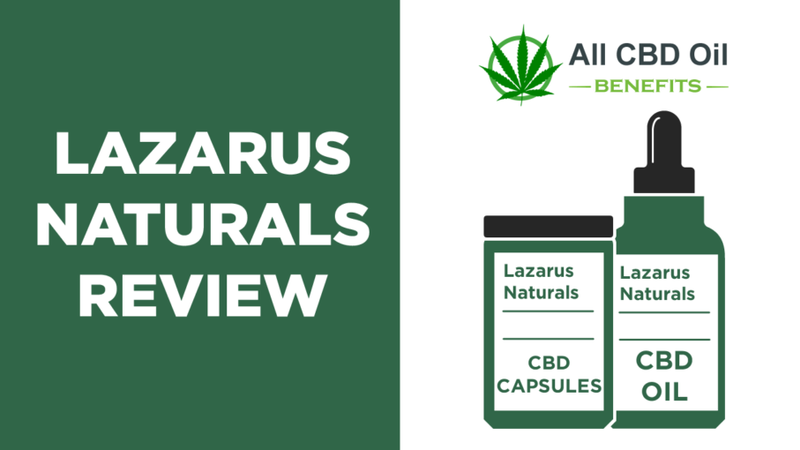 So, before I go deeper into describing my experiences in this Lazarus Naturals Review, allow me to give you a brief intro of the brand itself. 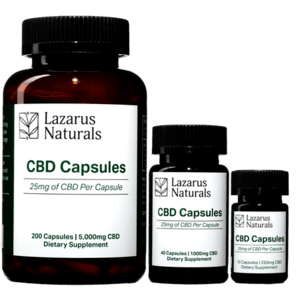 Lazarus was one of the companies that brought CBD to the limelight. After starting on the scene 5 years ago, they made quite a noise by being one of the big hitters in CBD isolation. They do it likes the pros, taking the hemp from family farmers and making it into all-natural products. The entire manufacturing process is natural and their commitment to making their products safe for consumption is commendable. As a result, you get pesticide-free, vegan products. Heck, they even use kosher ethanol to extract the CBD and terpenes. In a market that is filled to its brim with subpar products, Lazarus Naturals shines bright as a standard of excellence. Lazarus built their brand on providing safe CBD products, so you can count on them not having any THC content to. They even test their products through a third party just to be sure! These are the reasons that got me into trying out this company’s products in the first place. And my experience? Well, let’s talk about that now. If you’ve read my reviews before you would know that I am a sucker for CBD oil. They have an all new Wintermint flavor out along with the usual flavorless variety. I settled for the flavorless variety that boasted of having a high potency of 50 mg/ml of CBD concentration. A regular potency kit was also available with 15 mg/ml tinctures, but I put it off for later. How did I like it? Well, you might first see the product features to know. The product comes with a graduated dropper for knowing how much you are taking. Each mL of this product has a whopping 50 mg of CBD, so choose accordingly. Remember, the dosage varies, with your selection of the oil. I recommend starting with a single drop for your needs. Put the drops under your tongue for the increased bioavailability and you’re all set. I took my break from CBD to get the full-scape of my experience with this product. If you have read my previous blogs, you know I suffer from depression from childhood, so of course, when I stopped using it hit me again in full swing. Lazarus’ tincture healed me straight up – no surprises there. I was feeling bright and non-cloudy within as little as 2 hours. To be honest, with 50 mg/ml, I wasn’t expecting anything less. It made my sleep cycle a lot better too. I kept using it for some weeks and throughout, I never had a troubled night of sleep. If you use tinctures regularly and haven’t stumbled upon Lazarus yet, this might be the time to do so. These products are potent and act wondrously fast. I don’t enjoy using CBD capsules, butprefer them for the ease of use. 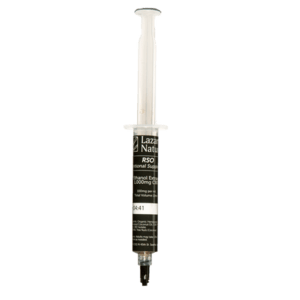 Lazarus offers their bills in various concentrations, going up to 200mg. 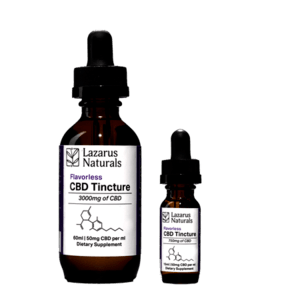 These capsules are potent, easy to use, and offer the same amount of punch as the tinctures. I personally took the largest capacity of the capsules (200 mg) to see how it goes. What sold me on them? Read the product features to know. The ease of use in the main point of CBD capsules, you just have to take a capsule and gulp it down with water. As with the tinctures, I took a slight break for these capsules as well. I used these capsules after a week of not using CBD, and the effect was incredibly calming. In about 2 hours I was completely calm, and the thought of being depressed again never came to my mind. I was also feeling more relaxed than usual, which is a good thing no doubt. For me popping in a tablet and working was a fun experience. My depression calmed up, and I did not have to deal with any night terrors for a long, long while. These were more potent than even the CBD tinctures for me. People whose lives are out of whack due to their work could benefit highly from these capsules. With the high concentrations available and their ease of use, I would recommend the lower dose ones to people who are starting out on CBD. 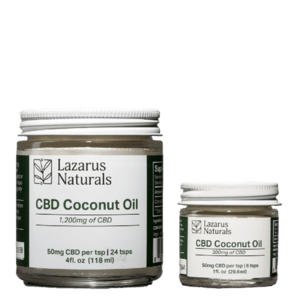 I love cooking new stuff with CBD, and Lazarus’ Coconut Oil gave me the chance to do just that. Coconut oil meant that I could move away from the usual flavor of the overly sweet gummies and other sweet goods to cook real food for once. I made up some of my special family recipes with them, and loved how great they tasted. For myself, I got the 50 mg per teaspoon concentration and put it to good use. How did I like it? Well, let’s look through the product features, shall we? Oh it is really easy! You can apply it to painful areas, or if you’re like me, just add it to your food while cooking for that extra effect. I gave it a whirl with my fish preparations and they kicked in in about an hour or so. This was way more effective than I presumed it to be. The kick in was even greater when I used it after a break in CBD use. It made me cheery enough to actually walk around the town and myself to try out new things. With the ease of use and everything, I even invited Aaron over for a dinner, which I cooked with this special ingredient. He complemented on the taste and would even agree with me that it was amazingly effective in mellowing him down. Extremely easy to use, and the great versatility of this product was a clincher for me. I don’t know about you, but, I am going to keep it on my kitchen shelf for sure! These products caught my eye from the get go! With the Lazarus guarantee of at least 99% CBD, these potent products match made in heaven for CBD lovers. As with all CBD isolates, here too you get the convenience of ingesting it however you like. The product was available in various flavors which made my job a little bit difficult. Finally, I settled in on the unflavored style of the terpene infused isolate for the purpose of writing a review. I bought the 4 pack and went ahead with it. Aaron pretty much covered all the ways to use it in his CBD Isolate review, so I won’t spend much time rehashing the info. For myself, I just mixed the isolates with some olive oil acting as carrier and brewed a concoction of CBD oil. I took a long break of half a month from CBD to try out this product. And I must say that the break was painful. Though my depression kicked in pretty well in that time, after using the tincture, my mind was fresh as lime in about a couple of hours. No exaggeration! Because this product has all the goodness of CBD with added terpenes and stuff, I could go about my daily activities like usual. It got me into gear and worked out too! This even helped me to take out my kids and missus for a night of play. 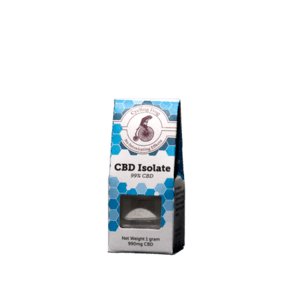 Isolates may not be meant for absolute CBD newbies, but it is a fantastic product for the enthusiast. These are pure, and because you basically know the concentration, you can set it to give you the ideal dosage. Rick Simpson is a bonafide legend in the CBD circles with his now legendary use of cannabis oil to cure skin cancer, so, when I saw Lazarus offering Rick Simpson Oil, I was hooked from the get-go. I got myself a 50mL variant of the 100mg concentration for my use. I used some of the oil for cooking and the rest as tincture. It not only is a great addition to food but, it actually helped me with a lot of stuff. I have been having a spell of some nightmares for a while, and the RSO oil was really effective in getting me back to my usual sleeping patterns, even though I had taken a break from CBD use for almost a month before using this. The bioavailability and concentration of this product is a great selling point for it. With 100mg of CBD per ml, you cannot go wrong with this. I may be a bit biased when I say this was my favorite among the lot, but I can’t help it given the tremendous amount of use I got out of it. I loved having it around the house and used it in many different methods. I and Aaron are just average guys who love using CBD, so don’t take our opinion and advice as an alternative to that of a medical professional. I write reviews based on my personal experiences and acknowledge that no two people might have the same experience, given the nature of CBD. If you feel any effects that are not as desirable or straight up harmful, then go see a doctor immediately. Just pay a visit to their website. With free shipping on all orders above 50$, you won’t be hurting much on the pocket. CBD products are legal in all the 50 states and in over 40 countries, but the company highly recommends that you check with the local administration regarding the aspect of legality and safe consumption. To conclude, I’d say Lazarus Naturals is an amazing brand that is yet to get its due recognition. If Aaron and I can vouch for it, so can you! This is Daniel, signing off!